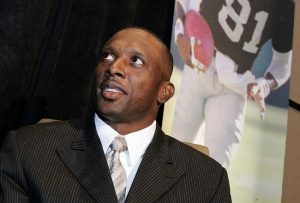 Heisman Trophy winner Tim Brown recently spoke as the guest speaker for this year’s Second Annual Fellowship of Christian Athletes Impact Awards that happened on April 30 at the Wagner Noel. Having Brown as the speaker was definitely a draw to get people to attend the event, and it was free of charge and open to the public. During his talk, Brown shared stories about his fascinating career in the NFL and also how he managed to get there. It was a very motivational talk, and football fans from all over the area made sure to attend this awards ceremony and get a glimpse at one of the sport’s greatest players. Brown spoke at the Second Annual Fellowship of Christian Athletes Impact Awards earlier this spring and it was an incredible experience for everyone who got to attend. Hopefully, next year’s event will be able to match up to this year’s excitement.